I only had an inkling of what to expect when I visited Sprites Woodland Nursery in Chatham. When I knocked on the door of the scout hut on Capstone Road, I was greeted by Hannah Cartwright – the nursery manager – with a big smile. We shook hands and she invited me in. Hannah is the co-owner of the nursery, which she set up last year with Paul. Moving into the main room, I was instantly struck by the vibrant noise of children running around and playing happily. Hannah explained that children of different ages are all in one room rather than being split into different groups – this means the younger children model their behaviour on the older ones and learn from them. Despite being a relatively “young” nursery, there are already 17 children on roll from ages 2-5. 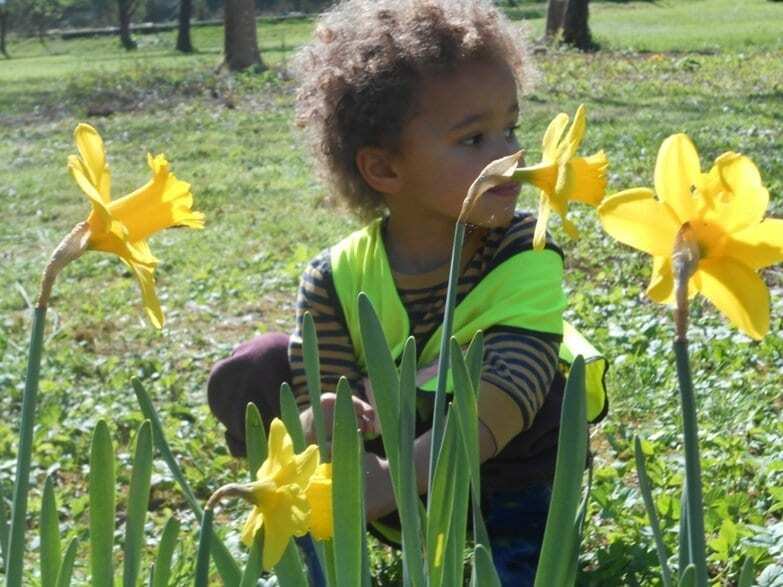 The setting is surrounded by a sloped grass meadow and plenty of natural resources for the children to enjoy: trees, flowerbeds, a circle of logs to sit on, leaf piles that children love to run up and fall into. Hannah and Paul have also created a clearing where the children can dig for worms and play in a mud. As we’re talking, one of the younger children totters by. Hannah calls over: “Demi, can you wipe your nose please?” I am amazed that the child knows instantly what to do; she goes over to a box of tissues on a cabinet near a strategically placed bin. Whilst some practitioners wouldn’t think twice about wiping a 2 year old’s nose for them, Hannah explains that they encourage children to do as much as possible for themselves so they become independent. This idea of self-sufficiency seems to sit well with children; although they’re not afraid to ask for help from practitioners when they really need it. I ask Hannah about the philosophy behind starting up the nursery. 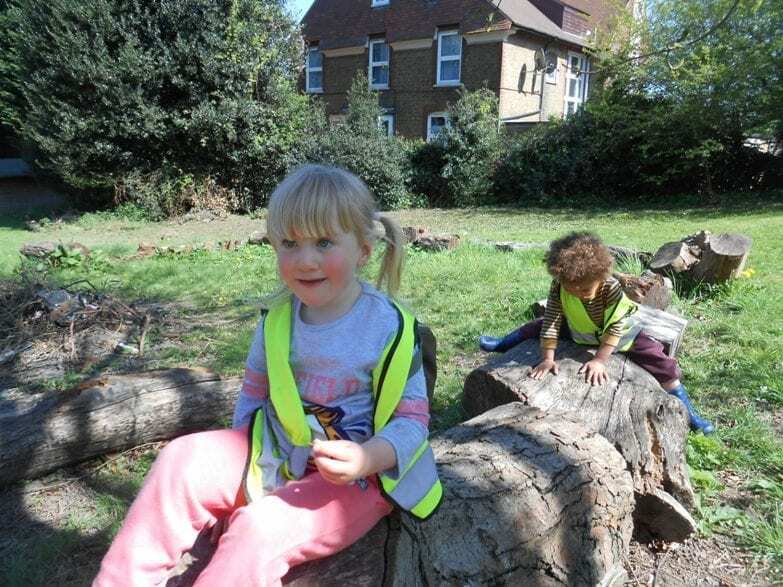 In a nutshell, they follow a forest school ethos which incorporates a Reggio Emilia approach. This means that the nursery gives children opportunities to develop their potential. Children are seen as “knowledge bearers”, so they’re encouraged to share their thoughts and ideas about what they could do during the day. Indeed, when I am there, Hannah asks what activity the children want to do next between bear hunt and bridge walking; and whether the children want to eat their snacks indoors or outdoors. It’s very refreshing to see daily activities planned around the children’s own preferences, rather than activities being prescribed and dictated to them. 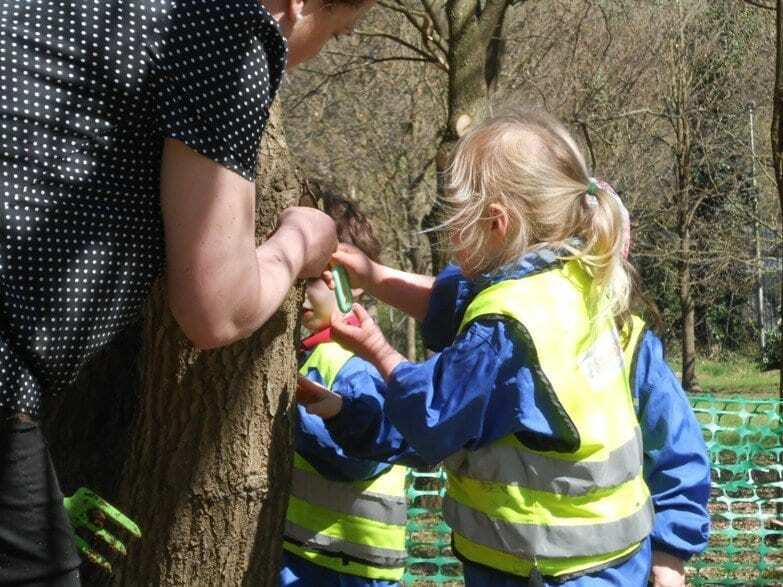 It seems to me that children at Sprites Nursery show a level of maturity and understanding about risk which is not commonly associated with non-forest school counterparts. Being able to engage in natural play has helped Sprite’s children become aware of potential risks for themselves, rather than taking an adult’s word for it. Hannah explains to me why she and Paul chose to open a woodland nursery. “Some settings have too many children on their books; they’re crammed into small spaces. Children need room run and play, to exert their energy outdoors. We try to keep a smaller number of children on our books, so there’s only 5 children per practitioner. That way, we can make sure quality of care isn’t compromised.” This idea of providing a generous and high quality service extends to the families too. In fact, knowing how difficult it is for childcare providers to cover their costs, I’m astounded by the generosity of Hannah and Paul, who don’t charge parents for sessions from 8.30am to 9am or from 3pm to 4pm. The reason? They don’t want parents to feel rushed on the school run, meaning they have plenty of time to pick up their children and catch up on the day’s developments with practitioners, too. At 10am the children put on their wellies, overalls and high visibility jackets and we all head outside. The first activity on the agenda is number and letter hunting. Excitement builds amongst the children as one of the practitioners hides random letters and numbers in the meadow field. The children practise their number counting as a group, until all the items have been hidden. Then they’re off! Bringing back these items to practitioners, each child is praised and then questioned about what they’ve found. However, after some minutes, one of the children trips over a small hole in the grass. Taking a tumble, I expect the child to cry but she just says: “Oops, I fell down a rabbit hole”. Hannah helps the child up and says: “Just like Alice in Wonderland!” There’s no fuss here, children don’t cry when they trip and fall. They’ve learnt falling over isn’t immediately catastrophic. Next, a wooden crate is hoisted up into a tree with a rope. The children take it in turns to put teddy in the crate, and are supervised whilst pulling the rope up so teddy can see over the houses and trees. The practitioners question children about what they think teddy can see, how high etc. The activities for children are so innovative and engaging that they don’t realise how much progress they’re making in terms of communication and refining their motor skills. When teddy is stuck in a tree, children look for tools like long branches they can use to work together and get him down. 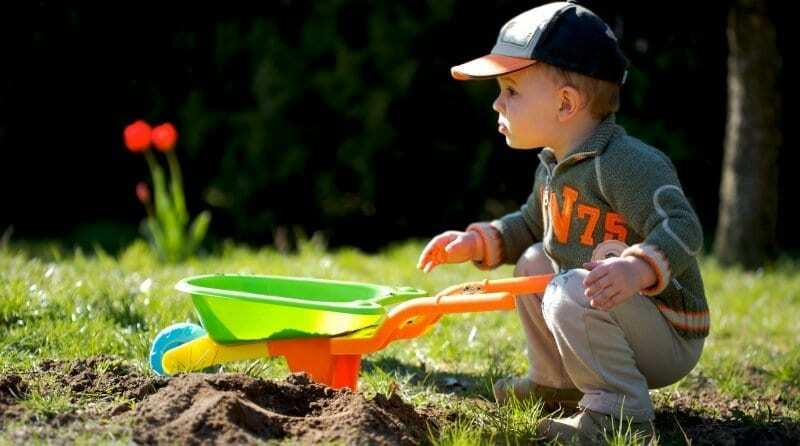 Learning isn’t “forced”; it seems to be a natural result of outdoor play. Before we know it, it’s time for a snack and a drink. Children’s hands are washed with wet wipes and they’re all eager to eat their fruit and have their glasses of milk. One of the children is non verbal and SEN, so the practitioners have taught him Makaton so he can sign things like “Yes” “No” “Please” “Thank you” “Orange” and “Apple”. In fact, they’ve taught all the children sign language so that this child doesn’t feel like he’s treated differently, plus it means that he can now communicate with his peers. The nursery has even taught his parents sign language, and they’re delighted with the progress he is making. Whereas other settings may have assigned a 1 on 1 SEN helper to this child, he is thriving and able to make his needs known to others without extra help. At one point, Hannah asks whether any of the children want to sit in one of the tree branches – which is probably 5-6ft from the ground! I expect some children to be held back by fear, but quite the opposite is true, they all want a go. Hannah holds each child next to the branch and instructs that child to wrap their arms and legs around it. She holds onto the child whilst they sit on the branch, and they beam a radiant smile to everyone on the ground. These children have 100% trust and confidence in their own ability, which is reaffirmed by the practitioners’ belief that they’re capable and strong. From spending a morning at this incredible nursery, I’ve learnt that children are able to excel and thrive in their learning by engaging in natural play. These children have learnt to be resilient, helping and supporting each other to overcome personal challenges. Rather than trying to “teach” children in a regimented way and fit them into neat boxes, children here take charge of their own learning experiences. They’re involved in activities which challenge their inner limits and grow their self belief and confidence as individuals. And it’s all possible because the staff’s diligence and passion for the children enables the nursery to clearly carry out its ethos. 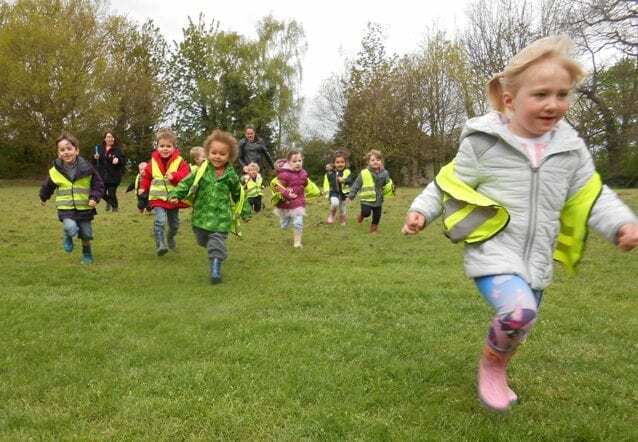 To find out more about Sprites Woodland Nursery in Chatham, Kent, visit their Facebook page, website or contact Hannah Cartwright on 07597 557 185.